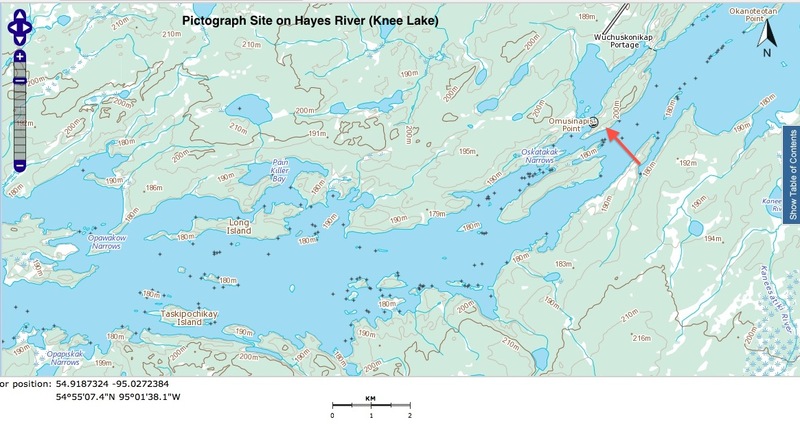 Previous Post: Anishinaabe Pictograph Sites of Ontario. 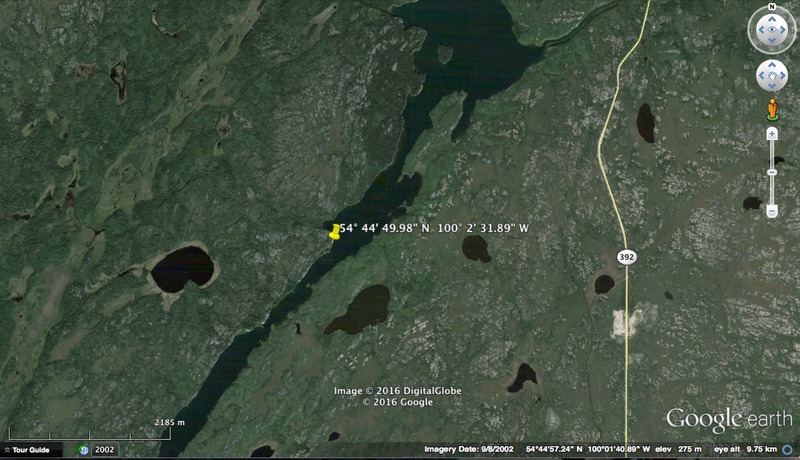 In Anishinaabe Pictograph Sites of The Canadian Shield, I provided an introduction to this series of posts. 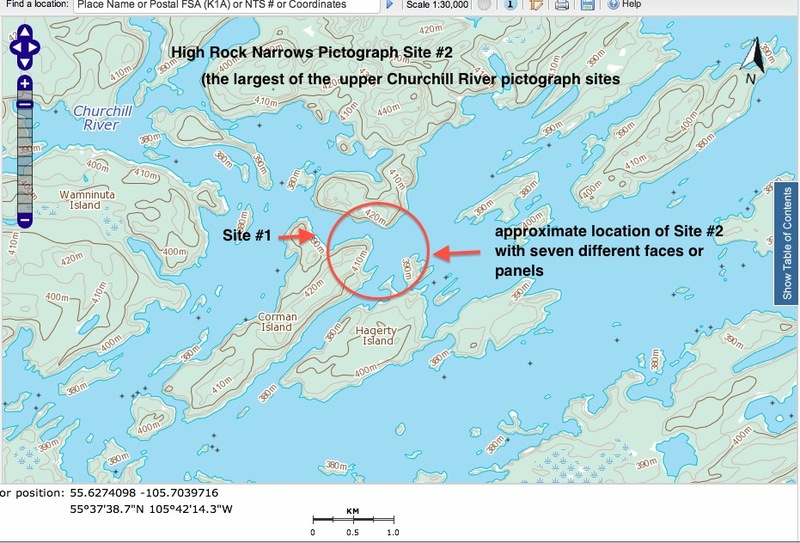 What you are looking at here is one of the posts dealing with a Canadian province or U.S. area where the indigenous rock paintings are found. 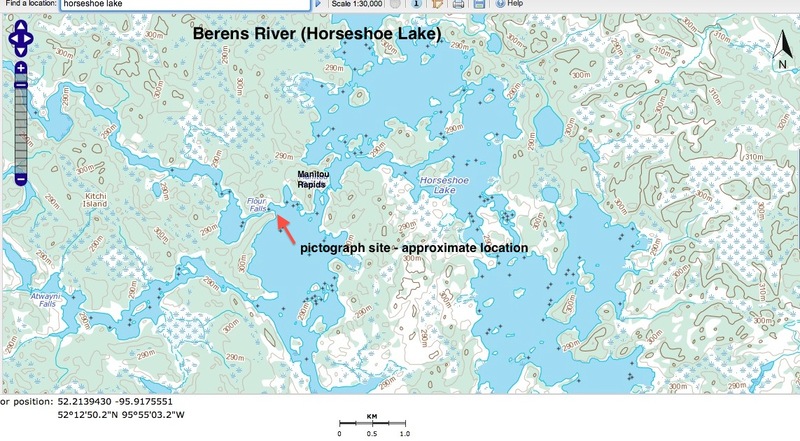 This is definitely a work in progress and I hope that more research and the help of interested readers and fellow canoe trippers will lead to the addition of more sites. All blue text leads to a map, more info and/or pix. Bloodvein River (Kautunigan Lake) – We paddled by the site on Day 11 of our trip down the Bloodvein. 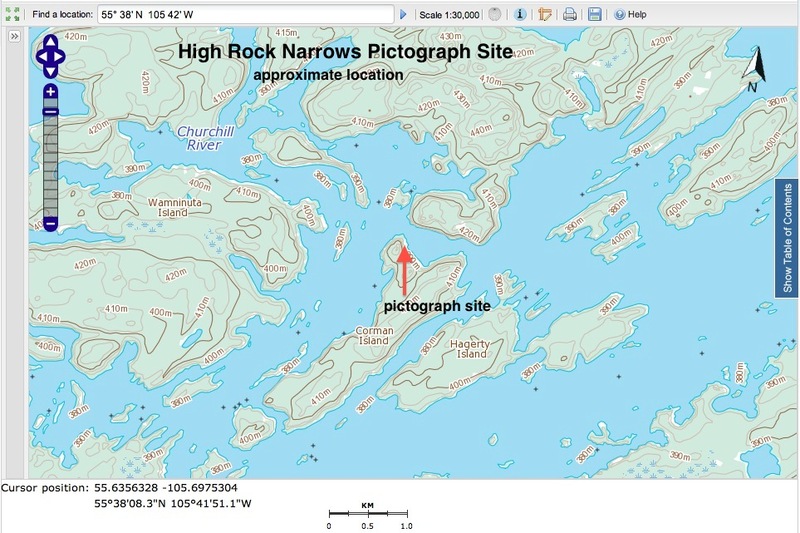 See here for pix and discussion of the site. 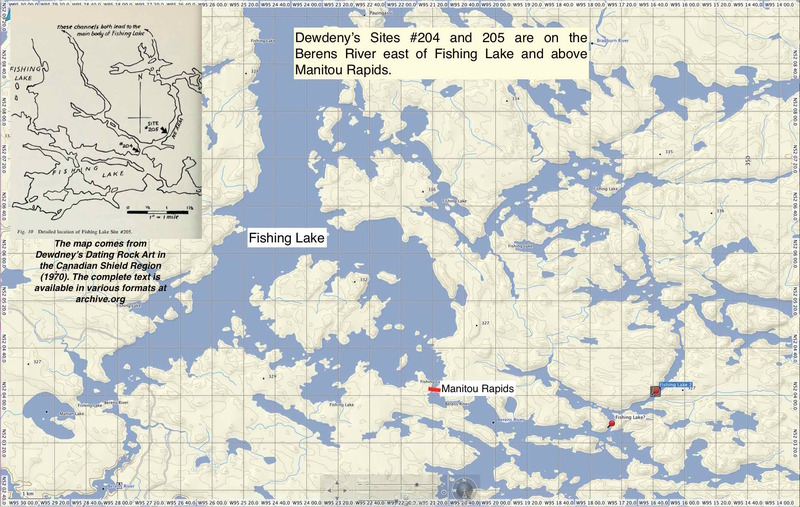 Fishing Lake – two sites recorded by Dewdney (his Sites #204 and 205) located on the Berens River east of the lake and just above Manitou Rapids. 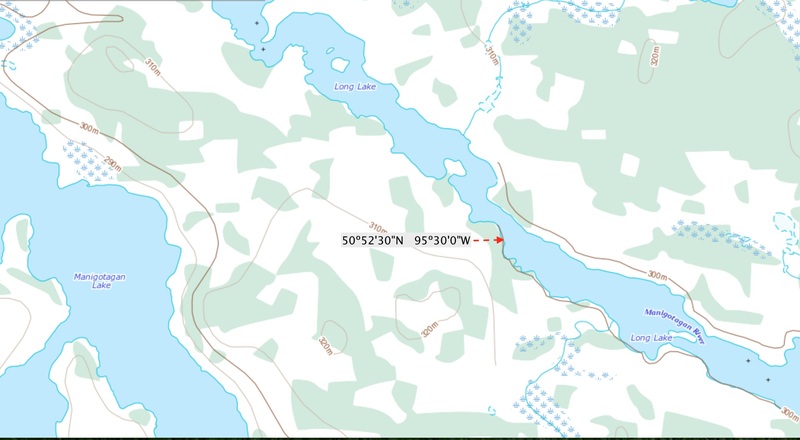 See here for the topo. 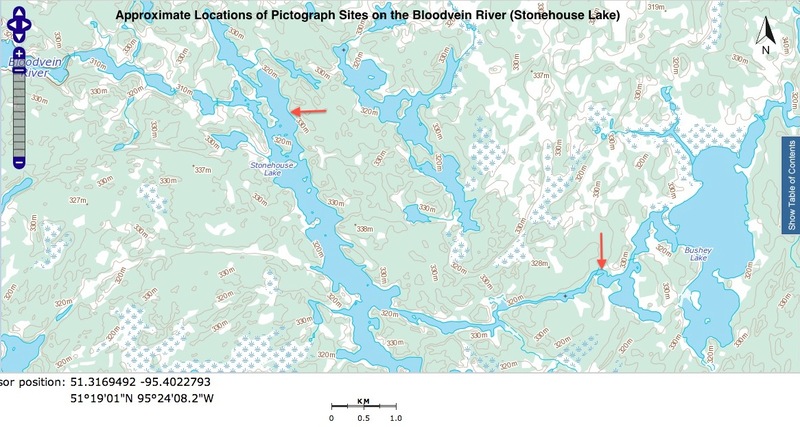 Paimusk Creek (Molson Lake inflow) – Bob Henderson mentions 100 images. His text has the creek spelled as Paimish and Paimisk. 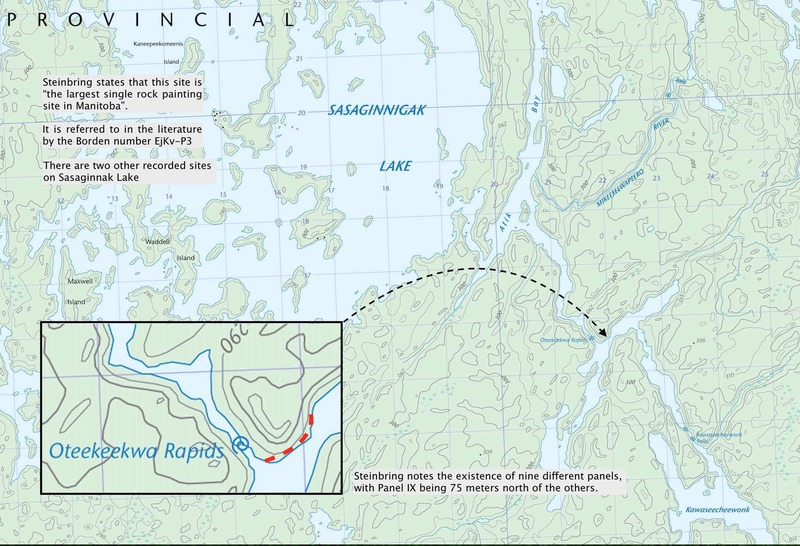 See here for some excellent research on the northern Ojibwe migration to the Norway House area. 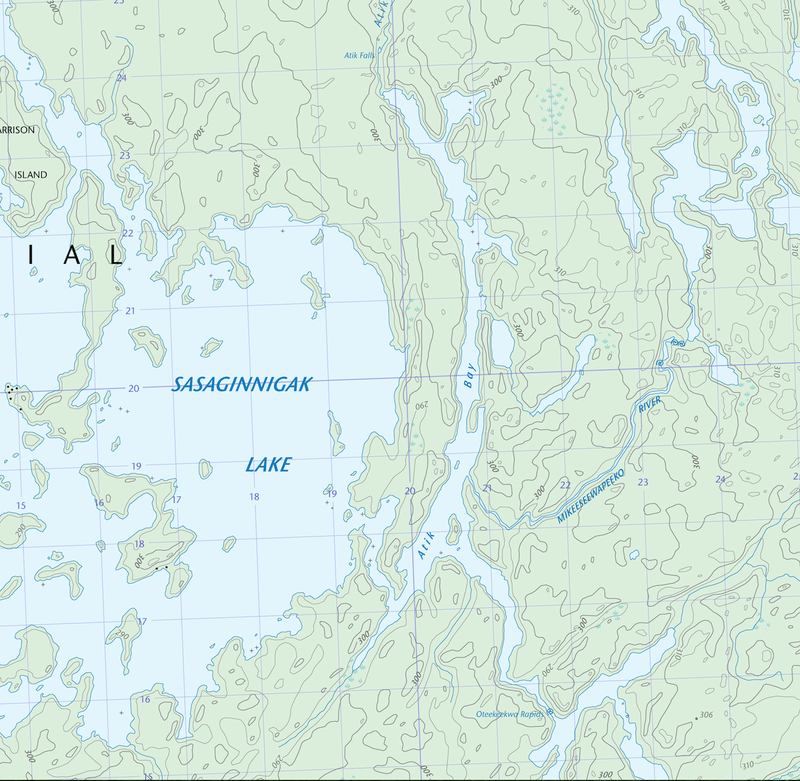 Sasaginnigak Lake – Of the main site (see map) Steinbring writes that it is likely “the largest single rock painting site in Manitoba”. He identifies nine panels stretch out over 200 meters (with a 75-meter gap between Panels VIII and IX). See pp. 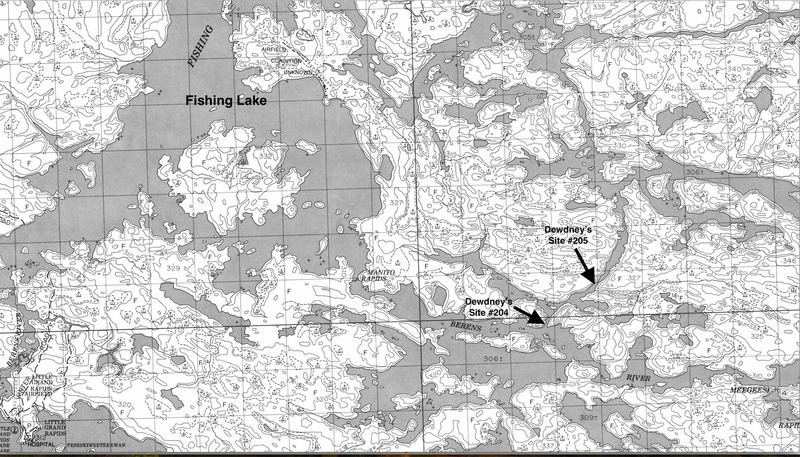 21-51 of his Aboriginal Rock Painting Sites in Manitoba in the Manitoba Archaeological Journal (1998-Volume 8. 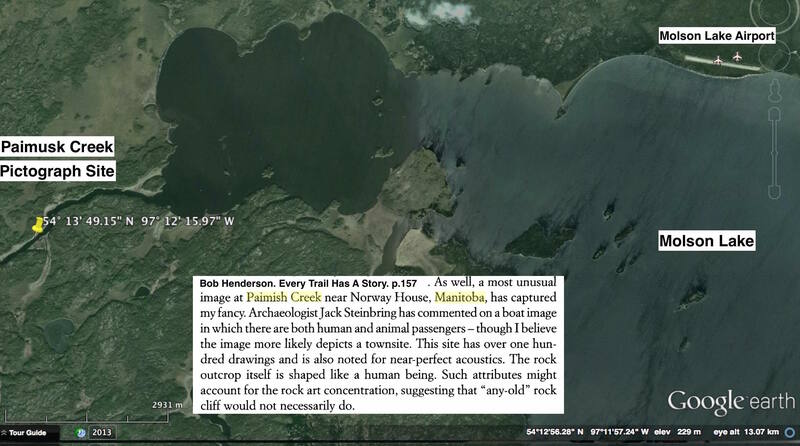 Nos 1-2)) for a fascinating examination of the site and parallels with images from other sites in Manitoba and beyond. 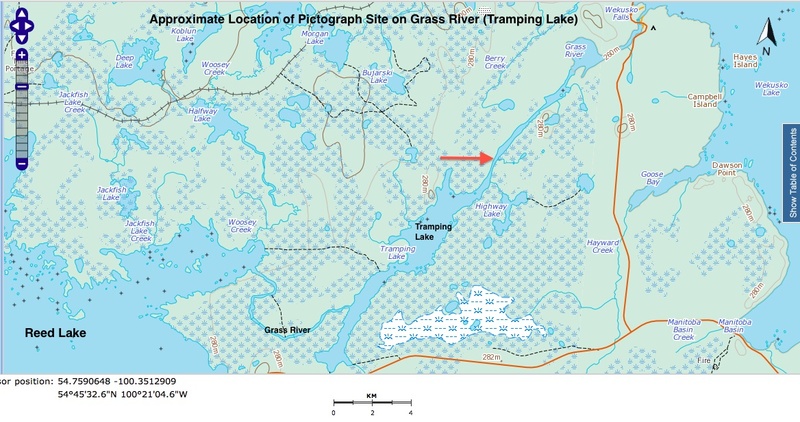 Tramping Lake – see also Grass River for info. 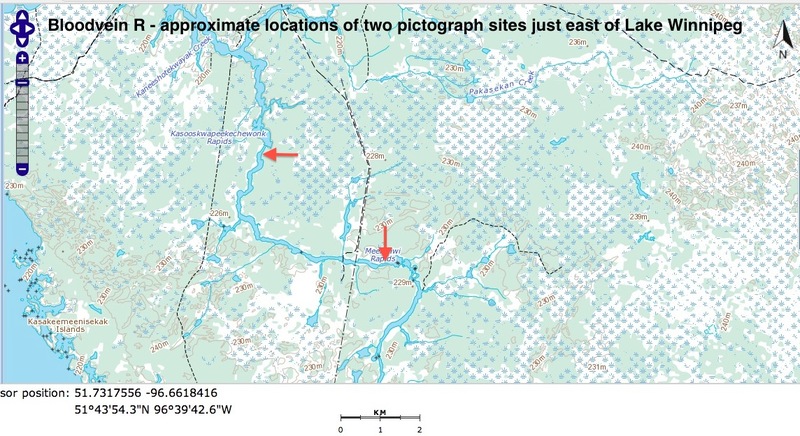 A June 2014 find on the internet was a 1965 publication titled Stone Age Paintings published by the Department of Mines and Resources of the Province of Manitoba. The writer/ illustrator is none other than Selwyn Dewdney. Most of the digital formats of the booklet only have the text of the original publication; the pdf format reproduces the entire booklet, images and all. 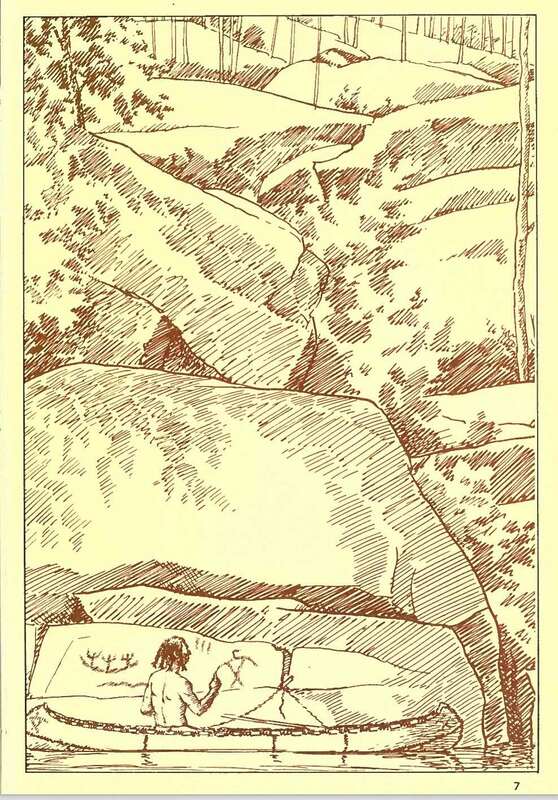 While it is fifty years old, It is still worth looking through Dewdney’s drawings and descriptions of the various sites. Access it here. Aboriginal Rock Painting Sites in Manitoba.1998. 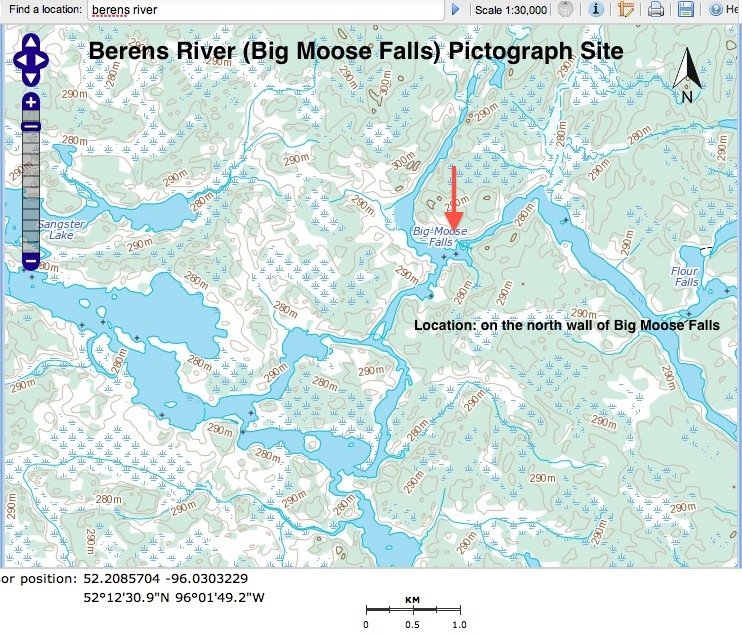 I had read a brief article of his on the massive and impossible-to-miss Bloodvein moose – the one we somehow paddled right by at the end of our trip down the Bloodvien without even seeing! On finding a copy of the Journal at the Toronto Reference Library in April 2017, I was amazed to find that the Steinbring “article” actually makes up the entire contents of the Journal for that year! I started reading and after an hour decided to photocopy the entire article so I could bring it home with me. It took a half-hour and $13. to get the job done! Article? It really should be a book and more widely known and available. 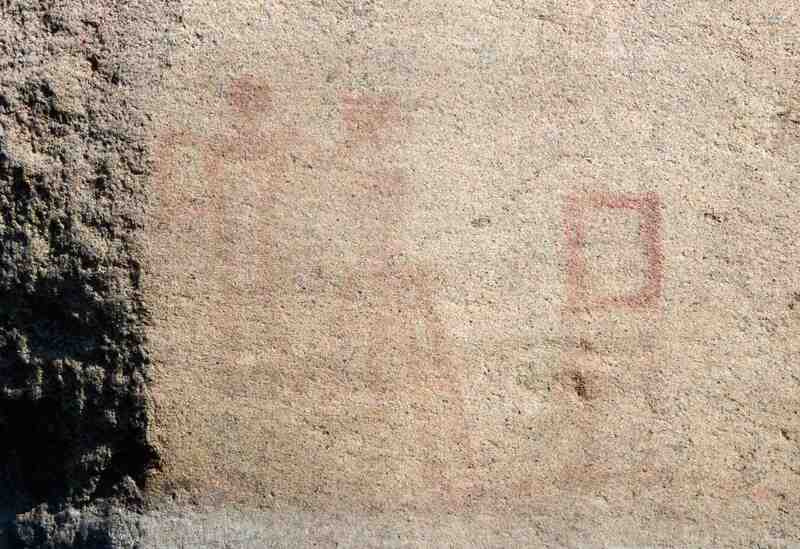 It is the best single thing I have found on pictographs in Manitoba! I’ll have to return to the library to see those plates in the full colour! 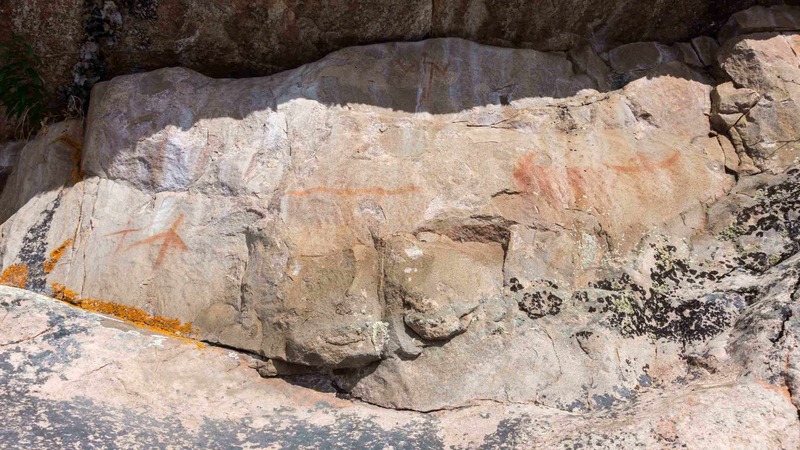 Not only does Steinbring do a masterful job of describing the images at the various sites; he also makes use of other pictographs from across the Canadian Shield to explain or expand on the issue at hand. Along the way he never fails to acknowledge and describe the work and contributions of those academic researchers and Anishinaabe knowledge-holders who laid the foundation of our understanding of pictographs of the Canadian Shield. Good luck in tracking down your own copy! 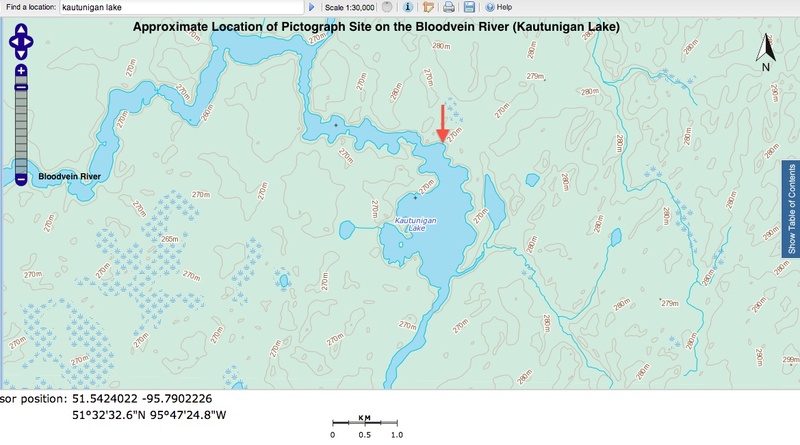 This entry was posted in Pictographs of the Canadian Shield and tagged Anishinaabeg art. Bookmark the permalink.